I always loved the water and after being introduced to "snuba" (scuba, but with a 40' hose to the surface where a raft carried your tank) in Maui, I was hooked. 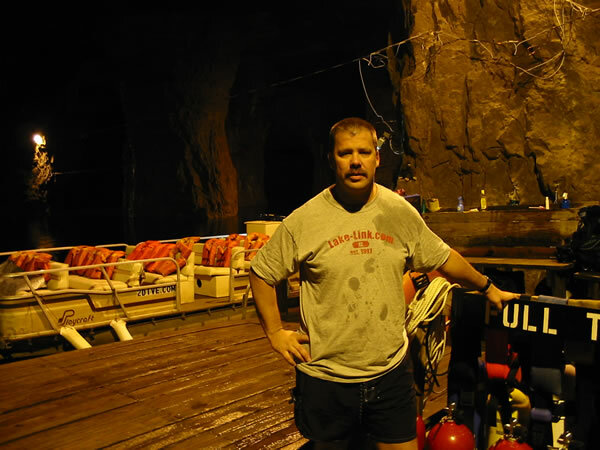 In 2004 I was in Trinidad and Tobago islands where I learned how to scuba and became PADI Open Water Scuba certified, after which I immediately became Advanced Open Water certified. Much of my travel since then has included some or lots of scuba dives. 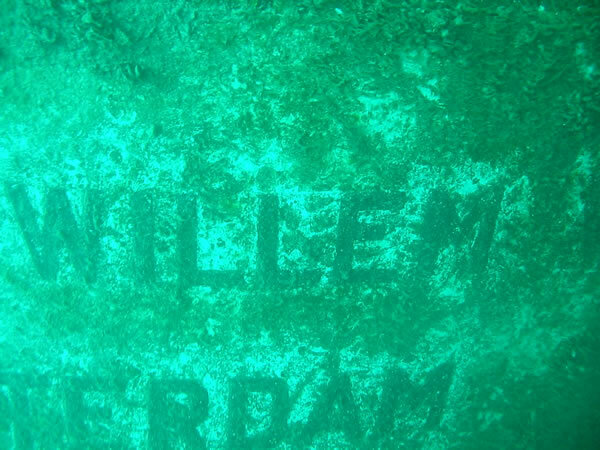 See my travel pages for some very cool underwater photos in some far away places (Tobago, Thailand, Curacao, etc.). 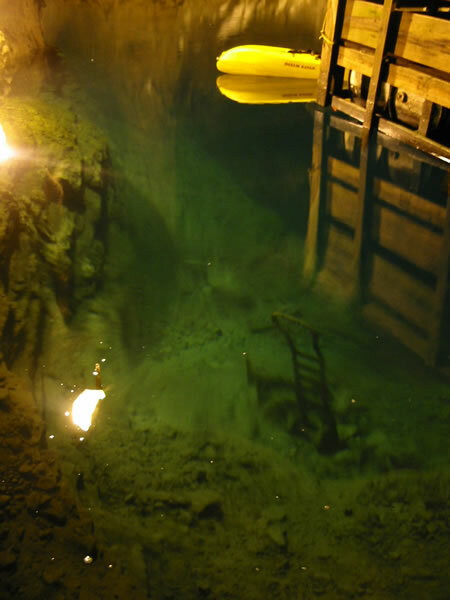 Here are some photos taken locally in Wisconsin and down at Bonne Terre Mine in MO. I'm fortunate that I live very close to Lake Michigan and there are many cool shipwrecks to see within a short drive and boat ride. Me getting ready to submerge in Geneva Lake, WI. 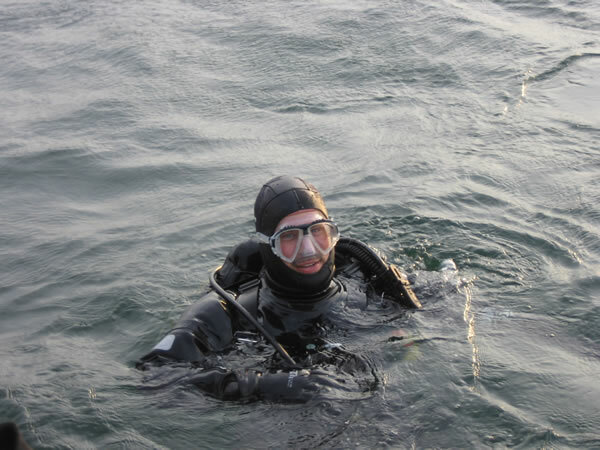 Due to living in chilly Wisconsin, I dive with a drysuit. 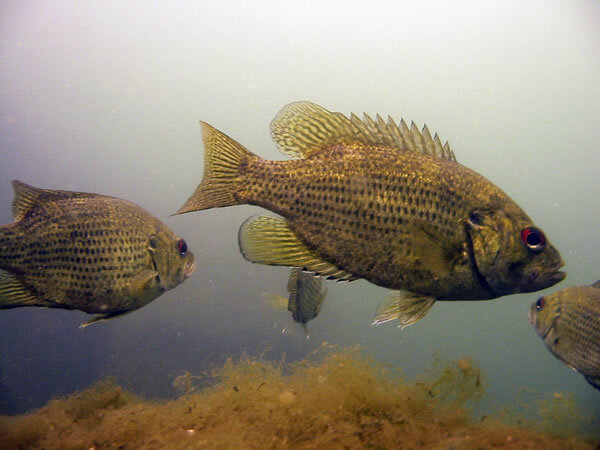 Typical temperatures below 30' at Lake Michigan is 40-45°F, inland lakes around 50's to 60's. 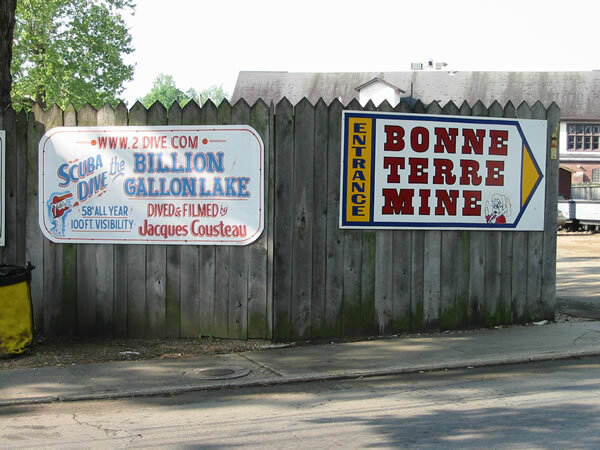 The entrance to the Bonne Terre Mine, about 1 hour South of St. Louis, MO. 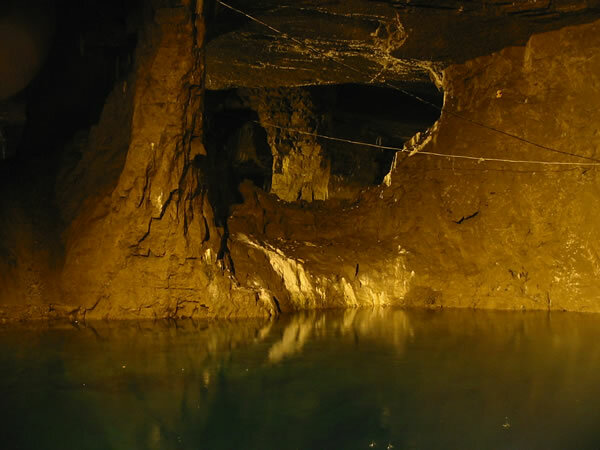 It's an abandoned lead mine (yes, underground) that has filled with water. 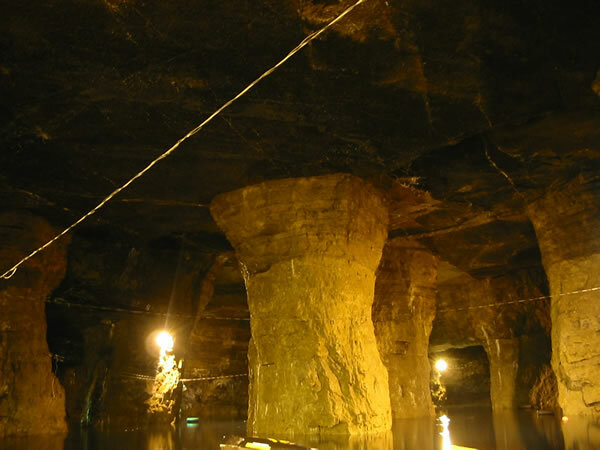 making the mine a popular place in the winter for us upper Midwesterners. 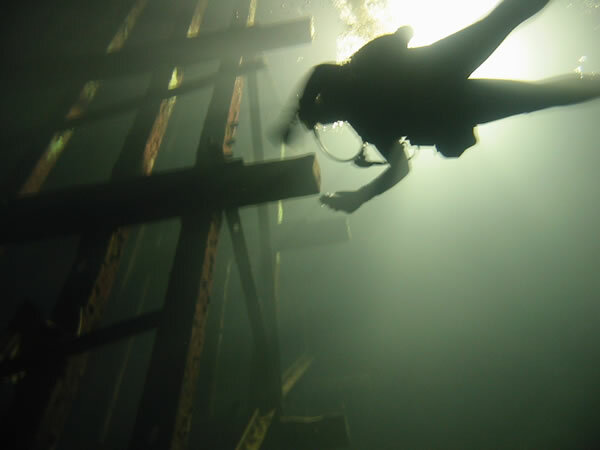 An elevator shaft structure with a diver checking it out. for boat tours. Highly recommended if you're in the area. "paths"). This is the walk down to the dive platform. 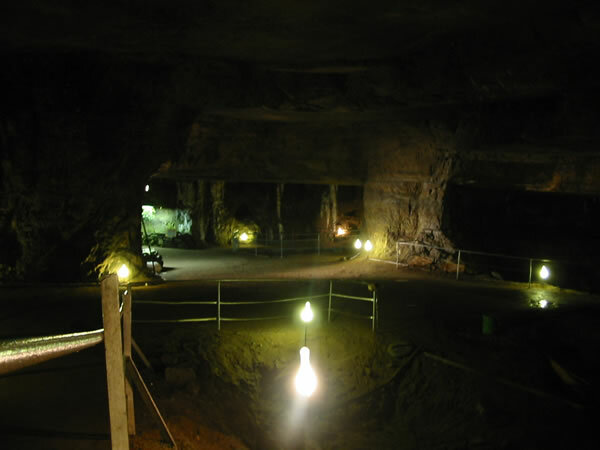 The mine is very well lit and beautiful. This is amazing. This is styrofoam floating in the water. The waterline is actually well off to the left of the styrofoam. 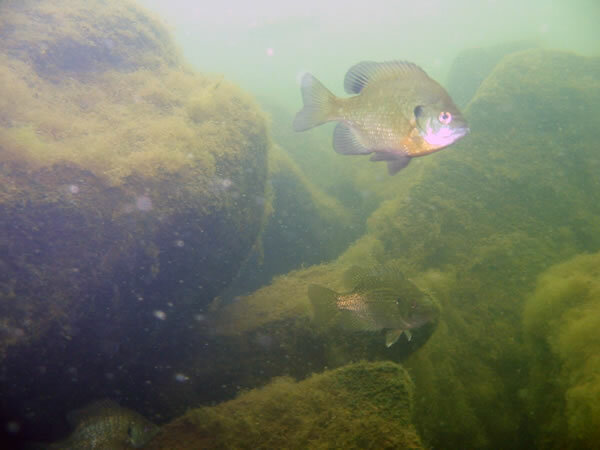 The water clarity is so good that the rock you see at the bottom edge of the photo is actually about 30' below water. Ten feet away from the rock walking path and onto the dive platform, the rock is like a cliff, dropping straight down to over 130' deep. 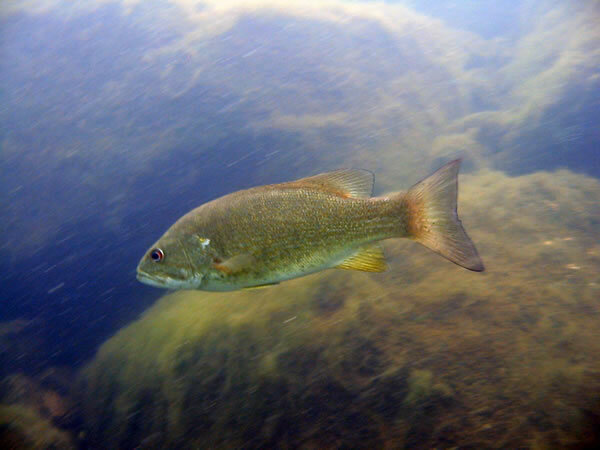 Here again you can see the water clarity. You can see the yellow kayak and its reflection. 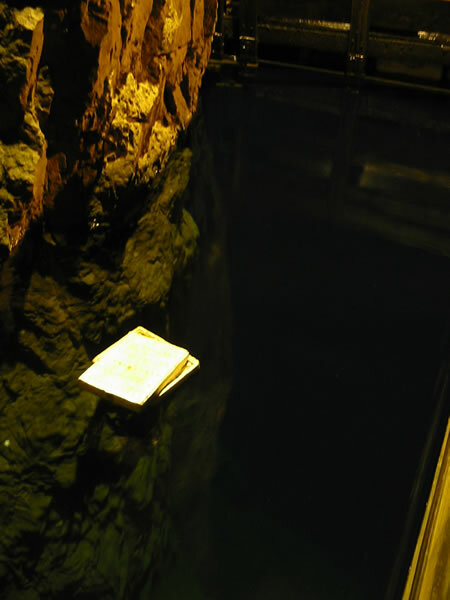 Eveything below that is the bottom, under water. 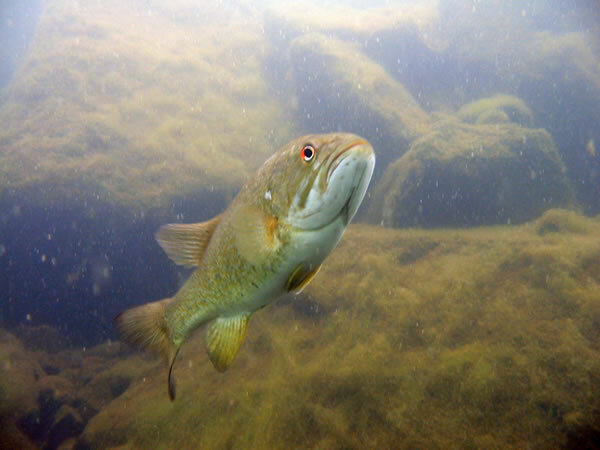 There is no dry land in this photo, only rock beneath the surface. 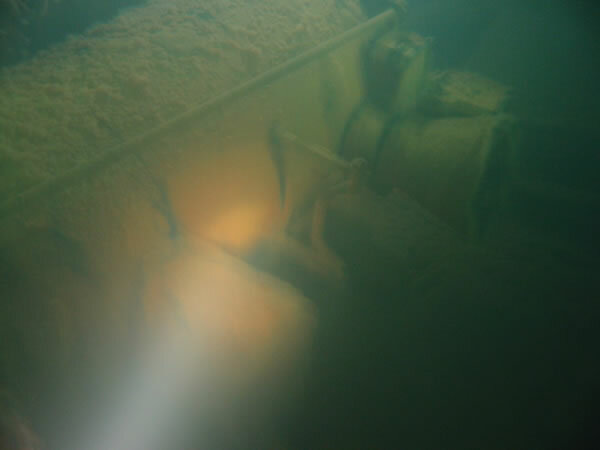 This is the locomotive that's sunk in 90' of water on "Trail 10". 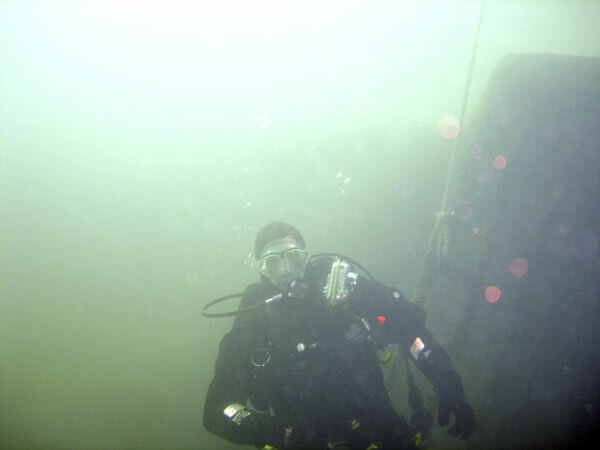 This is me decending onto the Prins Willem shipwreck in Milwaukee, WI. about 5 miles off of downtown Milwaukee.